Do keep texting, though -- because you’re actually teaching yourself to write. Yeah, you read that correctly. All of this texting and tweeting has taught us how to focus our stories and edit. Commit 10 minutes to hone in on the main point of a written scene. Then quickly lop off the excess that threatens to bury it. Commit 10 minutes to finding new words for your action lines; words that have enough impact to sum up the action and emotion of that moment. Commit 10 minutes to turning an overwritten monologue into the perfect one-liner. There’s an argument that all of our social networking is dumbing us down as a society. I say it’s created a generation of writers. We communicate through the written word more than we ever did before. Now, we just have to use those skills for our art. Today, when that urge to cheat on your job comes to you, go ahead and take those ten minutes – but don’t log onto Facebook; focus on your screenplay. Imagine your status update after you’ve sold it! 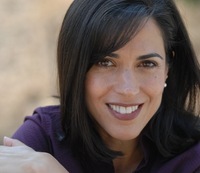 Pilar Alessandra is the director of the popular writing program "On The Page." A sought after teacher and lecturer, she's traveled the world teaching screenwriting and is in high demand at major writing conferences and film festivals. As a consultant, she's helped thousands of writers create, refine and sell their screenplays. Her students and clients have sold to Disney, DreamWorks, Warner Brothers and Sony and have won prestigious competitions such as the Austin Film Festival, Open Door Competition, Fade-In Competition and Nicholl Fellowship.